With her sharp sense of humor, risk-taking hairstyles, and impeccable fashion sense, Nicole Richie has always been one of our favorite beauty/style/life icons. She’s also one of the people we *dream* of going shopping with. Imagine Nicole styling your outfit while endlessly cracking you up? Total dream date. Through Nicole’s Holiday Challenge with JCPenney, we can all get closer to having her as our shopping BFF. Partnering with JCPenney on its Jacques Penné Holiday Boutique, the Great News actress curated her picks for holiday fashion, home décor, and other creative and affordable gifts. 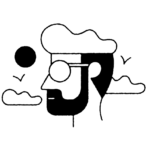 While the Jacques Penné pop-up took place in NYC’s SoHo neighborhood this past weekend, the rest of us can still experience a virtual version of the shop at JacquesPenneJCP.com from now to January 7th. We were able to chat with Nicole about the one beauty treatment she hasn’t tried yet and her obsession with moisturizing. HelloGiggles: What are your favorite skin care products to use this winter? 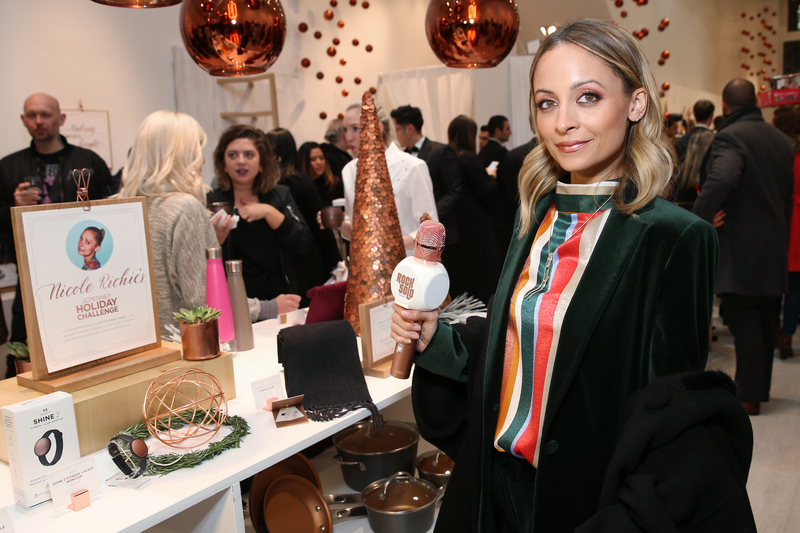 Nicole Richie: I use Biologique Recherche everything. My skin routine is my makeup routine. That’s where I put my effort because I don’t wear foundation, so that’s where I focus. HG: Are there any beauty resolutions that you want to try in the new year? NR: I’ve never had a laser in my life, so I’m open to that. HG: Are there any products on your Christmas wish list? NR: I’ve been very into Miranda Kerr’s Kora face oil. I think I will be asking for another bottle of that because I spilled mine. HG: Are there any beauty trends that you want to try? NR: I don’t know if at 36 I’m in the place to really try — I feel like I just got to stick with my routine and just keep on truckin’ you know? HG: You’re adventurous with your hair color, is there anything that you want to try that you haven’t yet? NR: Right now I’m giving my hair a nice, long break because it deserves it. I just got off of work and I have curly hair, I’ve been having to blow dry and straighten my hair and treat it with color. It’s all really fun, but you have to take breaks in order for your hair to grow. HG: Are there hair products that you swear by? NR: Even when I am coloring it especially, I’m all for a good coconut oil, a deep conditioning treatment. HG: Since you don’t wear much makeup, is there anything that you are obsessed with? NR: I don’t wear much makeup, but I’ll tell you what, this is a lesson that has been told to me since I was little. Both of my parents said, “You have to be moisturized when you’re out of the shower.” I was never allowed out of the shower without having oil and lotion on my body, and that’s how I raised my kids. It’s mandatory, it’s what you have to do, it’s what my kids’ friends have to do if they come over. I rub them down in oil and lotion and make sure that the skin is hydrated because, the epidermis, as my facialist says, is the biggest part of your body. It takes up your whole entire body, and you have to hydrate it and take care of it. Shop Nicole’s Holiday Challenge here.